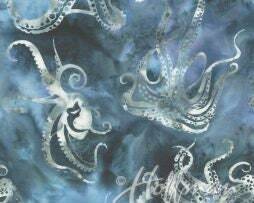 Hoffman Fabrics brings Bali Batiks to your fabric stash with this beautiful batiks jellyfish pattern on a creme background. The bluegrass colored multi-colored jellyfish are a subtle addition to your summer sea projects! 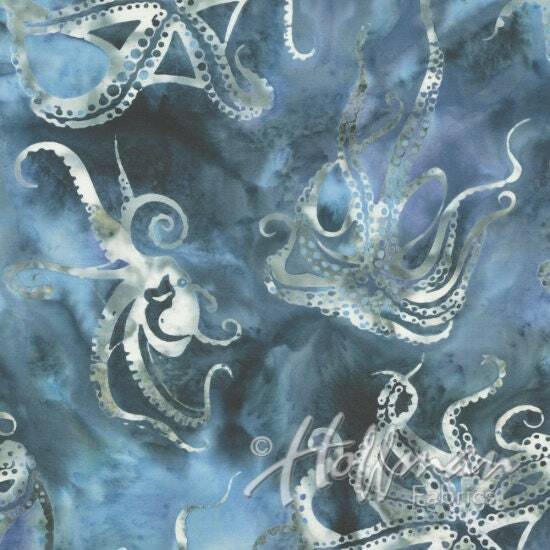 Fun sea theme batiks from Hoffman! They feel very soft to the touch which is unusual with most batiks!